The view from the sidewalk looking down the driveway. She somehow managed to drive her car from the parking lot to the left, through/over the brick wall, across the driveway and into the building (and yes, that is the entire brick wall that fell over). 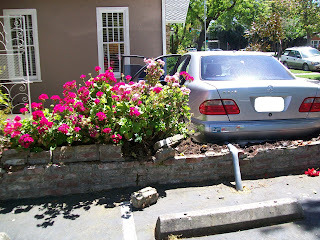 The front bumper of her car on the corner of the building. 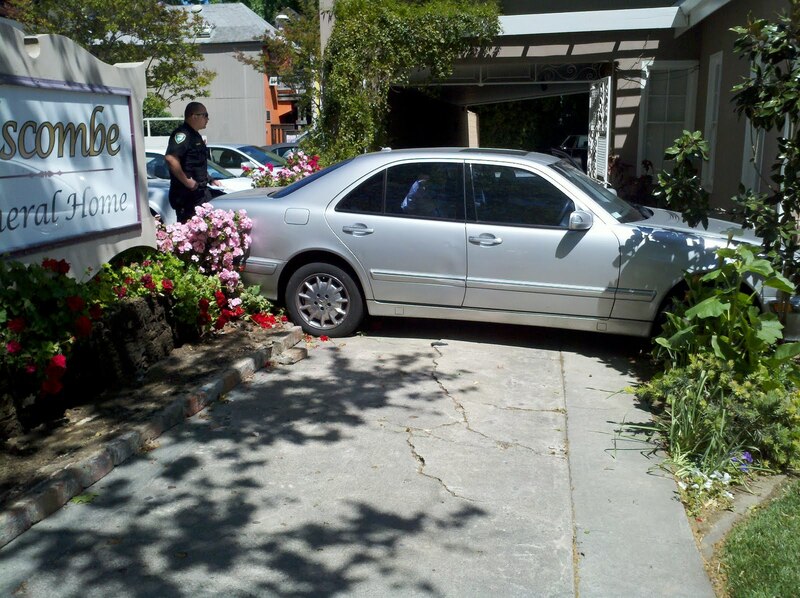 Looking from the parking lot she was trying to park in toward the funeral home. Tow truck driver preparing to pull the car out (he couldn't get it out the same way it went it). Ugh, the poor Magnolia Tree. It may have to be replaced - not to sure if it will be able to recover. 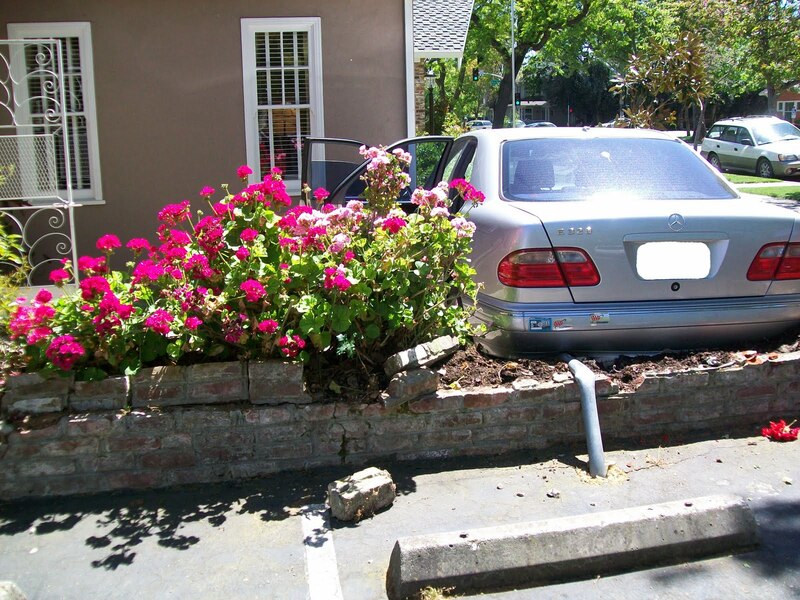 Damage done to the flowerbed after the tow truck pulled the car out. Luckily, this is the only damage done the building, it self - at lease as far as visible damage, someone with a trained eye will need to come look at it to be sure. All I can say is "Wow". I am glad nobody was hurt.